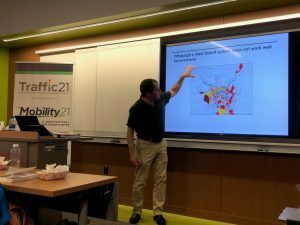 Smart Mobility Connection is an seminar series held throughout each fall and spring semester on CMU’s campus. The sessions provide faculty members and students with an opportunity to discuss their current transportation projects with students, fellow faculty, Traffic21’s deployment partners, and the community at large. Each session is scheduled for one hour, typically from Noon – 1 PM in Hamburg Hall on CMU’s campus. 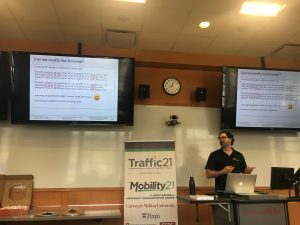 The sessions will be recorded and available for viewing on the Mobility21 What’s Happening page.